The editors are aware that this text may seem too tough for some of you. However, if the broadcast itself did not seem to be at least as tough, then… well, we some have bad news for you. We reserve our right to prevent the lies and hatred being poured into our beloved space. Therefore, we ask you to share this article. We would also like to apologize for possible grammatical errors: although we translate a lot of materials from English, it is still not our native language. October 1, 2018 was immediately marked by two important space events. First, the International Astronautical Congress began in Bremen, which was attended by representatives of leading space companies, heads of space agencies and scientists. Secondly, the «Big Game» TV show was broadcasted in Moscow. Representatives of Roscosmos were invited: Dmitry Rogozin and his deputy, Sergei Krikalev, who were previously announced as participants at the Congress, but could not come. Particularly, because of the sanctions. It is noteworthy that until yesterday it was claimed that Rogozin would be present at the Congress, but at the last moment the organizing country (Germany) did not give permission for the head of Roscosmos to enter the country bypassing the sanctions. And Rogozin started his own Congress. On the Russian TV. We have watched the full TV program, chose the most important messages and did some fact-checking. At first, we’ll note the main message of the program: «The good people work at NASA, the American administration is trying to embroil us, we want to be friends, but we can strike back if needed». The show starts with the hottest topic of the last month: the hole in Soyuz spacecraft which is docked to the ISS. Rogozin claims that the hole “definitely appeared not during the production phase”, but “by NASA’s request” he won’t voice his own assumptions. Suggests to wait for the results of Roscosmos investigation (these should be published in November). «I haven’t personally met the head of NASA <…> but I know people in his inner circle. These are high-ranked professionals, and in private discussions they always complain about constant strong pressure from die-hard Russophobes». I haven’t personally met mr. Rogozin <…> but I know people in his inner circle. These are high-ranked professionals, and in private discussions they always complain about his unprofessional corrupted management and pressure on all the employees inside Roscosmos. «For example, Americans are trying to develop their new project, Deep Space Gateway, it’s a lunar program. They assume that they will start testing their new crewed vehicles in 2019. Until now they were flying on our, Russian vehicles. Because there wasn’t anything else after the crash of their shuttle». It’s a lie. The crash of the Columbia shuttle occured in 2003. The Space Shuttle program was closed in 2011, not because of an accident, but because of significant overspending of funds and sets of goals that were unmet. It was assumed that instead of the Shuttle, the United States would have a new ambitious program, Constellation, but the administration of Barack Obama closed the project, leaving only the SLS super-heavy rocket and the Orion crewed spacecraft. That’s the reason why the United States was left without its own vehicles for delivering astronauts into space and used the services of the Russian Soyuz for several years. 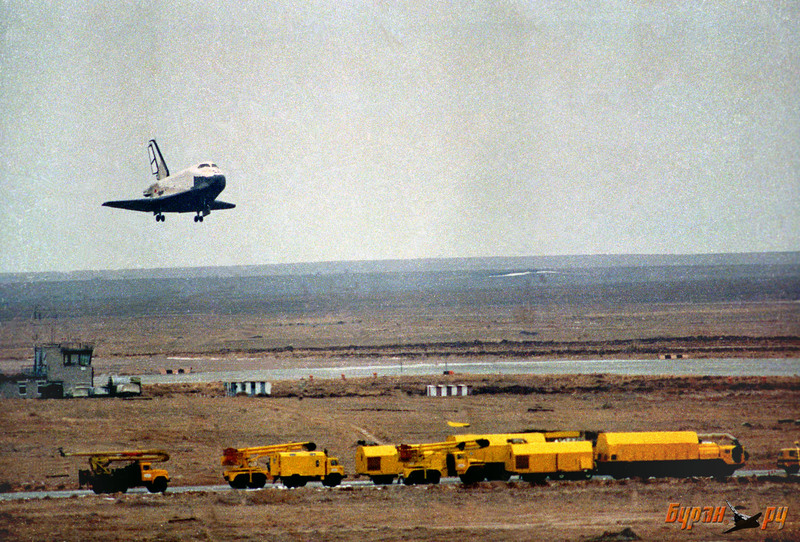 However, almost immediately after the closure of the Space Shuttle program, a competition was announced — firstly for the commercial supply of the stations, and then for commercial crewed flights. In 2019-2020, we will have two commercial vehicles for ISS flights at once: Boeing Starliner and SpaceX Dragon. These are two completely independent projects. «Without a second transportation system, which could have saved them in case of an emergency situation, and only one country has the second transportation system, it’s Russia, it’s our new rocket Angara. It’s our current Soyuz-MS vehicle. And the future reusable Federatsiya [Russian for «Federation»] vehicle, we’re finishing the development for it and will start testing in two-three years… If they allow to break relations with Roscosmos, they will be left alone with the abyss». It’s a lie. China will theoretically be able to send its ship to LOP-G, if required. Since we are talking about the planned lunar orbital station LOP-G, we should note that by the time of its launch, the United States (in addition to the space ships mentioned above, independent SpaceX Crew Dragon and Boeing Starliner projects) will also have the Orion spacecraft designed for deep space missions. Sergei Krikalev: «After the shuttle accident we’ve took all responsibility for station supply on ourselves». -Americans, Cygnus and Dragon ships. Moreover, Russian uncrewed flights were the only alternative to the US just before the closure of the Space Shuttles, because the Japanese spacecraft began to fly to the ISS in 2009, and the European one — in 2011. First American commercial ship, SpaceX Dragon, visited the ISS in 2012. 7 uncrewed resupply flights of the last 20 are Russian. 11 of them are American and two more — Japanese. «All six of them were gathered in our segment and were waiting for our command. So, even though the station is international, Russian-Amercian, there’s a German from ESA, the final decision regarding evacuation of the crew via two ships, three persons each, lied with the head of Roscosmos». This is a manipulation. The leak on the ISS was noticed at night, when the crew was sleeping. However, they were not even woken up on this occasion, since the scale of the leak was too small. The crew then assembled in the Russian segment, as required in case of an emergency situation: there are stations for communication with the MCC and two Soyuz spaceships. Most likely, it was simply a communication session with the Russian MCC. «Take all that yelling about not buying Russian RD-180 engines. It’s a unique machine. This engine has 84 failure-free launches on an American rocket. So basically during in all that time Americans couldn’t create anything like that. It’s a good product that they used. Nevertheless, people appeared, McCain for example, but we won’t talk about him since he passed away… But there were others, still living American hawks, who were ready to shoot themselves in the arm just to stop flying on Russian engines». Manipulation. The RD-180 engine is Russian, produced by a Russian company and purchased for the USA. The Americans have a license for the production of RD-180 on their territory, but they do not use it. Americans really do not have their own kerosene staged combustion engines. This is perhaps the most truthful statement made by Rogozin this evening. Although he personally has no relation to the RD-180. We will not comment that mention of John McCain by a state official on the state television channel, it’s a sad reality of Russian TV propaganda broadcasts. However, we can not imagine, say, the head of NASA, arguing about Russian deputies on the Fox News channel. The manipulation of the «Russian RD-180 engines» was used by all of the broadcast participants. «Americans have this thing flying… It’s called X-37, it’s a spaceplane, we don’t understand its purpose, well, rather, we do [smiles], but we don’t get clarifications officially. It’s a kind of shuttle, which stays in space for some months, then comes back and launches again. Essentially this thing can be used as a weapon». Manipulation. X-37 are two test orbiters with a long autonomous life. And although their direct purpose is not indicated anywhere, the letter X in the title suggests that this is a prototype, a demonstration technology. It is likely that it is used to photograph the surface of the Earth (as a spy satellite), but recently the US military leadership published some information regarding the ship payload: the last mission includes a NASA experiment with unnamed materials and tests of ion propulsion technologies. «I’ll start with Mr.Musk <…> he’s definitely a very talented engineer, great PR manager, he can sell anything, make a candy… well, you know, make a candy…[smiles]». [Rogozin is using Russian idiom, “to make a candy out of poop”]. «But we need to separate the wheat from the chaff. When we hear “See, Roscosmos can’t make their launches cheaper, we are losing the space launch market, Musk is sitting on our neck…” But if you see the Falcon 9 price for Pentagon and compare it to the market price, you’ll see nothing but pure underbidding. He’s selling launches for $40, $50 or sometimes $60 millions to push Russia out of market. But Pentagon pays him about $150 millions per launch. He gets payed extra to put out cheap product on the market. Of course Russia can’t compete with that. We simply can’t ask Ministry of Defence to pay us 3-4-5 times more for a national security launch». False. The official price tag of a single SpaceX launch is about $62 million today. The volume of discounts they give for customers of reused first stage are not disclosed and may vary from launch to launch. The cost of military launches, traditionally for the American market, is 2-2.5 times higher than civilian ones. In this case, the amount of $150 million remains very modest, even by American standards. Another American company, the United Launch Alliance, launched military vehicles for a price tag of up to $300 million (with a “commercial” price of about $100 million). Both cases include additional requirements by a the government customer. Accusing Musk of dumping is senseless: his rockets are really profitable, reusable, reliable and (as a result) cheap. «I’m not allowed to enter US, Canada, Switzerland and EU. But I don’t care about sanctions, our country is big, I have other places to go here and where to go on vacation. And we’ve got China and India which are big countries too». That is why such an important space broadcast had not a single mention of the International Astronautical Congress which is taking place in Bremen right now, which Rogozin was going to visit, but because of the sanctions he could not. The Congress, where the heads of all major space agencies held a joint conference and signed several documents on cooperation in space. The Congress, where the issue of the lunar station will be discussed and where the US is awaiting proposals from potential project partners. «Sanctions are just a signal of whimsy and limited political potential». That’s why the half of the TV show was dedicated to sanctions and repeated statement: «This will make us stronger». Summary from host: «Russia should continue development of our space program in solo or in cooperation with countries that will never impose sanctions on us». The TV program is a typical propaganda show, where the presenters, instead of asking questions, for some reason went into independent thoughts and voiced ideas that would be completely embarrassing even for Mr. Rogozin, the head of Roskosmos. They even mentioned the moon hoax. American astronauts were accused of having drilled a hole in the Soyuz spacecraft. As required by a good propaganda show, there was also an «American expert», Mr. George Beebe (he appeared in a video call with the northern facade of the White House as a background). Beebe is well-known for his peaceful rhetoric and criticism of «sanctions that are too strong» for the Russian regime. Mr. Beebe’s messages complemented the messages of the Russian TV show hosts. NASA’s publication of a photo of a hole in the Soyuz and public disclosure of the information about it before reaching an agreement with Roscosmos. NASA’s refusal of the US-Russian (Russian-American) project of the near-moon station. The USA insists that the project will be American, with wide international participation. Germany’s refusal to accept Dmitry Rogozin’s visit for the time of the International Astronautical Congress. We cannot interpret this show in any other way than them preparing the audience ahead of worsening Russian-US space relations.